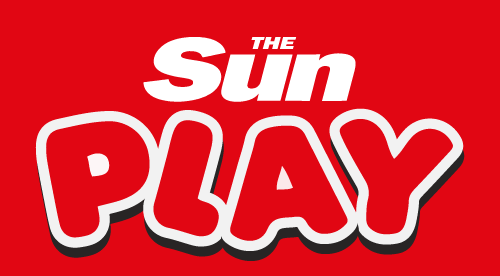 UK-based players will surely already be familiar with the work of The Sun: it’s a huge newspaper and media brand which dominates the tabloid and ‘gutter press’ market. In 2016 they branched out into online gaming, first via their sports betting platform SunBets and secondly through the aptly-named SunCasino. The third spoke of the wheel is The Sun Play casino, which differs from the latter in that it's more of a simple slots gaming site as opposed to some of the more complex sites. You won’t find the likes of blackjack and roulette here, just high-octane slots sourced from some of the best software firms in the business. Rather than muddy the waters, The Sun Play casino has a basic premise which it sticks to religiously: to offer stacks of slot titles to gamers in a no-frills environment. Whoever designed the site and its accompanying apps has not gone to town with the bells and whistles, that’s for sure: housed in a striking red background (The Sun’s branding), there's simply row after row of slots neatly categorised to enable rapid search and play. It’s important to note the wealth of software houses involved in the project, because these give gamers an idea of the diverse experience offered at The Sun Play. You'll recognise many of the big names, such as NetEnt, Microgaming and NextGen, because these firms are responsible for some of the most enduring slots around. Excitingly, there are some new names to consider: the likes of Gamevy, Iron Dog, Foxium and Konami, who many may already know as a console game producer (responsible for the Pro Evolution Soccer series amongst many more). Well, you can probably work that one out for yourself. In addition, there’s a category labelled ‘Sun Play Games’, which is a collection of titles developed by Nektan specifically for the casino – you simply won’t find these available on any other site so you'll wanna check these out. The progressive jackpot library also features slots that routinely pay out prizes in the millions. - First Deposit – 200% match up to £100 in bonus + 50 spins on Starburst. - To be eligible to claim the Welcome bonus offer, players must deposit a minimum of £25 for each of the three deposit matches. Bonus funds carry a wagering requirement of 40x the sum of your deposit and bonus amount (e.g. £25 deposit + £25 bonus*40= £1500) must be met before the bonus and any winnings are converted to capped cash and this and any further winnings become withdrawable if the bonus is related to a deposit. You may opt-out of receiving promotions and associated promotional communications by contacting customer support. Employees, officers and directors of Nektan Plc, its promotional or other agencies, licensees and licensors, service providers and any other associated or affiliated companies shall not be eligible for the promotion. The same terms shall apply to the direct families of such persons.